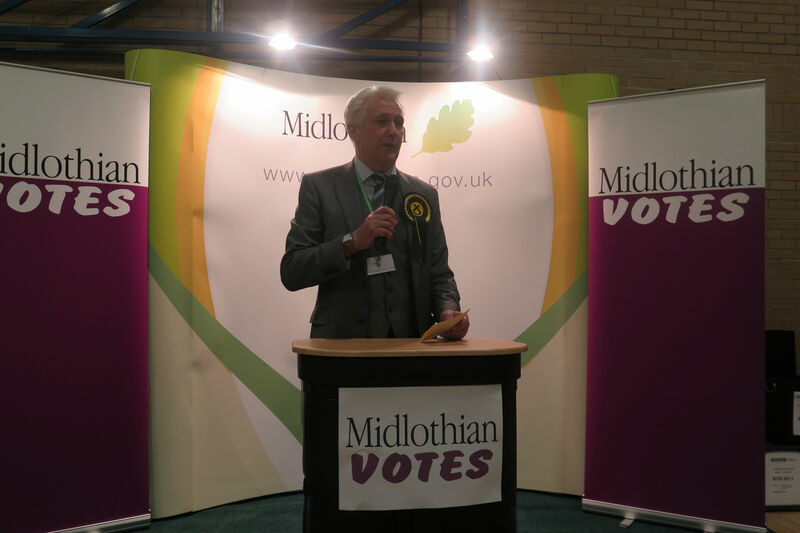 The SNP candidate, Joe Wallace, has won the Ward 1 Penicuik by-election. The by-election was called after the death of Labour councillor and provost, Cllr Adam Montgomery. Joe Wallace was elected at Stage 3. The election is by the Single Transferable Vote System (STV). Vivienne Wallace, Scottish Labour Party. No candidate attained the 2376 quota so the count proceeded to Stage 2. The candidate with the lowest number of votes, Helen Armstrong was excluded and her votes transferred to the remaining candidates in accordance with the voters' next preferences. Vivienne Wallace was then excluded and her votes transferred to the remaining candidates in accordance with the voters' next preferences.